Keyword, it is a very familiar term to all the bloggers and with that, it is a very important part of writing any of the blogs. It is quite a process that defines the exact way of keyword research. Now, it can be appropriately said that keyword research is the basic and fundamental part of writing an effective blog and not only blogging, keyword research comes as an integral part of seeking information, Blogging, Search Engine Optimisation (SEO) as well as online marketing. 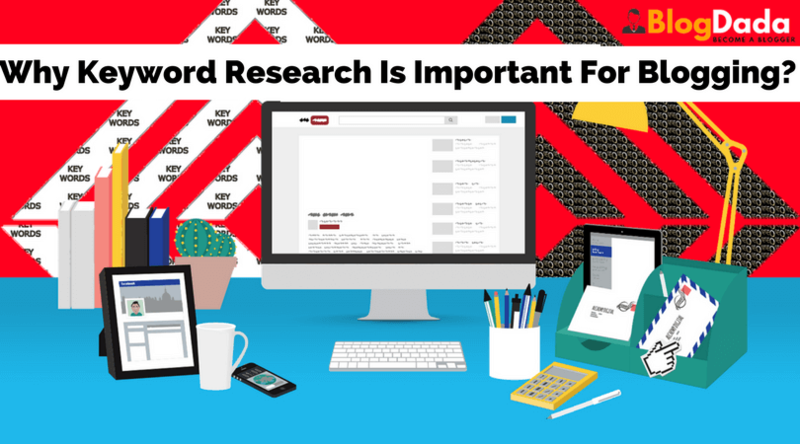 Why Keyword Research Is Important For Blogging? Keyword research gained its importance from the fact that it is important for both users as well as a search engine to process the searching of a site. It is important that whatever keyword you choose is relevant to the content of the site you are blogging for. Choosing the right keyword is an art that should be learned before you start writing. The basic purpose of a keyword is to optimize the search that means whenever a person searches for those keywords to find the site of relevance. The art of choosing the right keyword involves figuring out what basically people are looking for and when you know that convert traffic into leads, you can easily target on finding the best-suited keyword and simultaneously you can be at right place at right time and that too with the right content. As the importance of the keyword is almost clear in your heads now let us talk about how the keyword research is done basically. How to Research for Keywords? Finding the right keyword is just the beginning but the real battle is to target the keyword that would actually help in ranking the site high and drive traffic to the site. 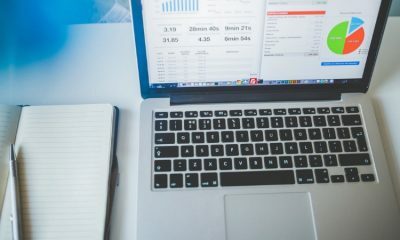 It can be accurately said that the keyword research is the backbone of the whole writing process and has to be done before you start with the writing. Keyword research will specify the real and actual target for you to write on effectively. YOU JUST CAN’T START WRITING BEFORE YOU HAVE A TARGETED KEYWORD IN SIGHT. Finding the right effective keyword is not as easy as it sounds. For this strategy to be in action, you must make a list of all the relevant keywords and phrases that are based on or are related to your content and website. If you have a clear idea of what your website is about and you know what your target is then keyword research is not that difficult of the tasks. Now, How to get an idea which keyword is popular and useful? Well! to get the idea of that there is a simple way of using google that may reflect some of the common keywords that are widely used. The best part is that the Google itself shows up the few keyword suggestions in “Google Suggest Feature” and this feature is integrated with the google account you own. If you are logged into your google account and have enabled the web history option then, there will be a dropdown list that will display you with some of the best ideas of keywords as soon as you start typing and that feature is commonly known as the Google Suggest. You can also make use of Google Keyword Planner. Now, if you are not logged into your Gmail and web history is not enabled Google Suggest won’t work. NOTE: there is also the availability of the suggestions at the bottom of the result page that might help in refining your search. There are many types of keywords that should be selected wisely. TRICK 1: It is highly advisable to use long tails after the main keyword and the reason behind this is that it is less competitive and more promising and it is very common fact that lesser the competition better is the ranking results will be. TRICK 2: Make sure you focus on one particular field while deriving the keyword as the broad category is not the right way to go. You should carry out the research to find the targeted audience for your site and specifically do not assume that what you are searching will be the same as what your audience might be looking for. Moreover, it is very important that the targeted keywords are related to the content and the site you are writing for. Prefer doing research for what your competition is targeting on in your niche. This could be easily done by surfing through the competitors’ pages in a website. Do not and I am serious, never get yourself into the limit and try to expand the list of keywords by using the tools that are designed for finding the keywords of all types. There are many keyword scanner tools that are developed and are widely used. Now, it is great if you have found the right keyword for your writing to proceed but, there are many other points that a blogger should and must take a note of. * Tip 1: you should not overwrite the keyword that is, Keep a Check on the Keyword Density and it plays a vital role in making and creating the best content. By Keyword Density what we are referring to is the number of times the keyword has been mentioned in the article and in common the density used in the blog of a keyword is 1%. NOTE: Usually, the keyword density is 1% of the word limit that you are writing. * Check out the best way to phrase the Keyword that is selected. * Make sure the keyword is relevant to the content you are writing. * Make the keyword usage. importance of the keyword in blogging and how to find the best and relevant keyword for your blog. Share your learning from this article in the comment section and put your queries if you have any. Well when I first started my blogging journey I never cared about keyword research but later I found that its really important to achieve organic traffic. Great tips shared though.